These are Limited Editions which have sold out and are not available to order. However, if you see something of interest please contact me as I am often working on new sculptures and themes which may be of similar interest. 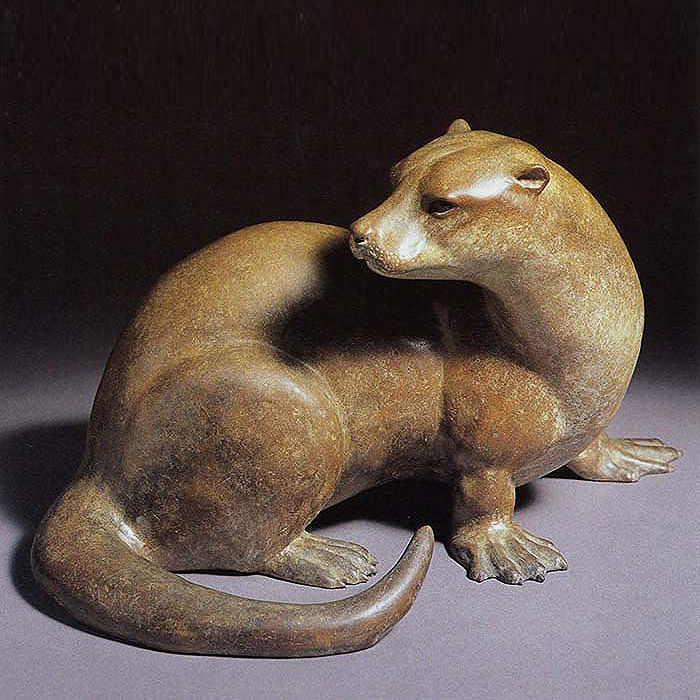 "The enjoyment I have had in thirty years of making sculpture seems to have gone by in the flick of an eye but I constantly draw on the vast experience I have gained and every new piece, is a direct result of the past. Each individual project has its own memories of people, animals, places and new experiences. I am proud of my whole back catalogue and whist there has been a natural evolution, the excitement of exploring my new work is as strong and all involving as ever." I enjoy the drama and the historical element of this piece. Having an interest in history, the research on this piece was a joy to me. The ‘Black Prince’ was a fascinating character, the elder son of Edward III, who won his spurs at the battle of Crecy aged sixteen. One of the greatest warriors of the middle ages, he was also largely attributed with the age of ‘chivalry’. His helm, shield and gauntlets still survive and adorn his tomb in Canterbury Cathedral. If you have never seen the movement and ability of a cutting horse it will amaze you. Slow down the action and it will blow you away. It is easy to see how this will have started though necessity on the working ranches of North America. It is now a huge competitive sport, with horses earning huge prize monies. 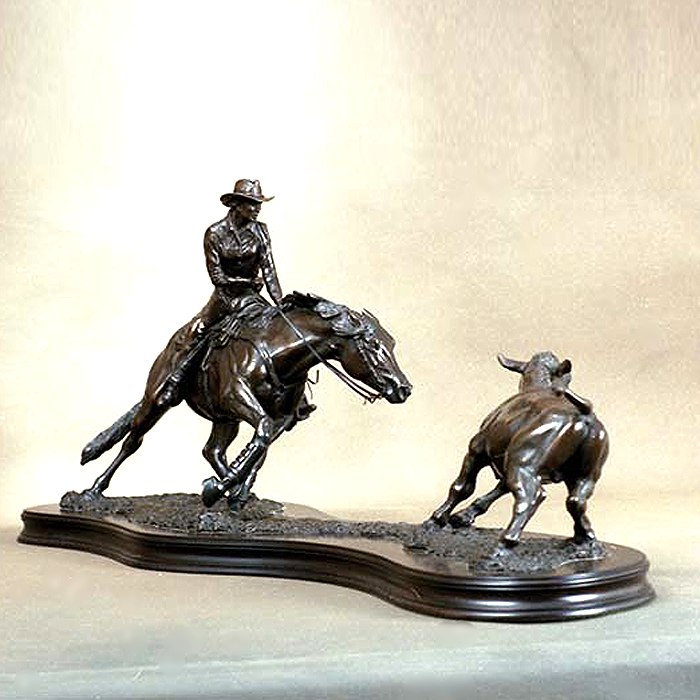 I have loved the American Quarter horse, ever since I first learnt about them. I have owned and competed on some incredible horses both here and on continental Europe. I have met many ‘old time western horsemen’ and they have a quiet, wisdom which I really admire. This very famous national hunt horse of the ‘80’s captured the public’s imagination. His distinctive grey colour made him immediately recognisable. I don’t make many birds, there are so many good bird artists out there and my passion with mammals occupies me fairly extensively! However I do occasionally see something I want to make and in this case I was commissioned to make a life size heron for a client’s garden. 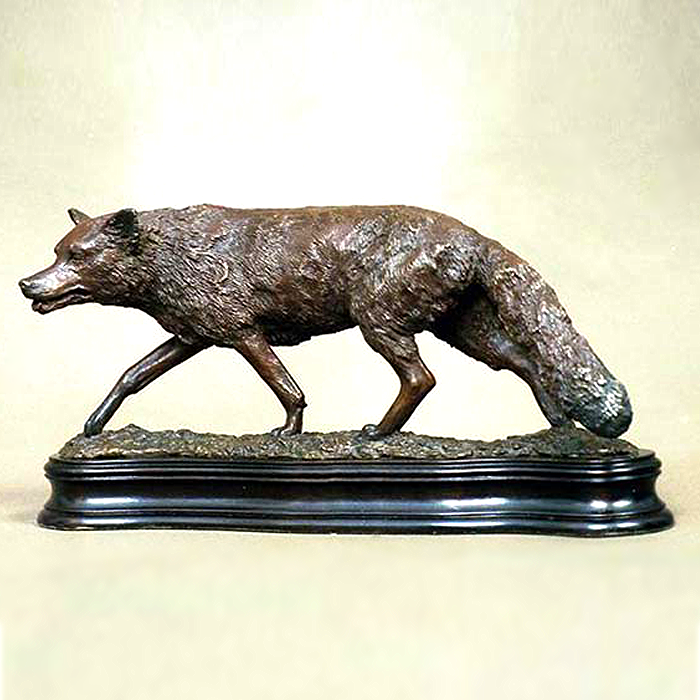 This was the small bronze I made as a part of the process and when I cast it in bronze, it became a popular limited edition piece. Unfortunately the mould was lost in a foundry fire, so the edition was never finished. It is a sculpture I am rather fond of, I think it worked well. The life size version of this is still available. Living in the Gloucestershire countryside, this is a scene that’s very familiar. Again, I love to tell a story and explore the interaction between the huntsman and hounds. When I go to the races, I am interested in the whole process of getting the horse to the finish line! The paddock is one of my favourite places. Everyone loves an otter! These fascinating creatures are happily becoming more common again in the wild. I have been fortunate enough to see them many times in captivity and their character and playfulness is a joy to see. Polo: always a favourite subject. Drama, movement, excitement and skill; polo has it all as well as an opportunity to portray fit, athletic animals which are always very sculptural. Quarter horses again, no apologies!! 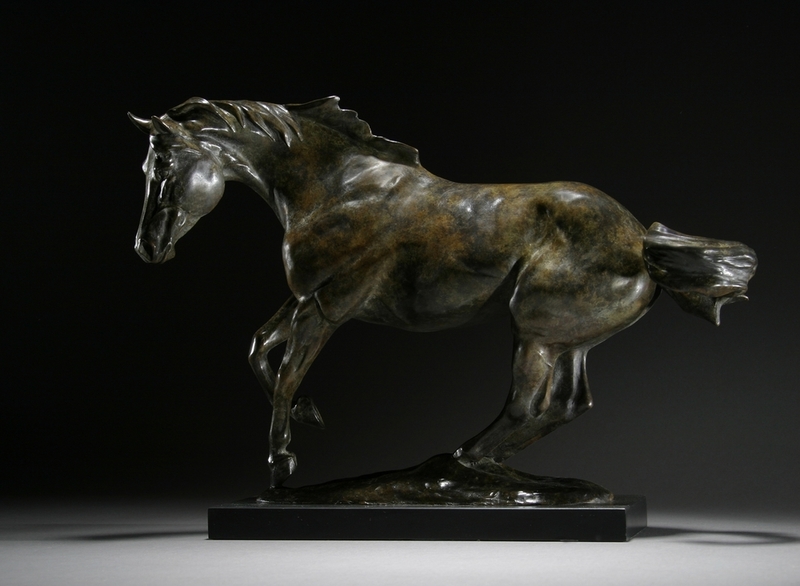 The Quarter horse gets its name from the quarter mile distance this sprinting race horse is most famous for. Quarter horse racing is still a big deal in parts of North America with huge prize money being won in little more than 20 seconds! 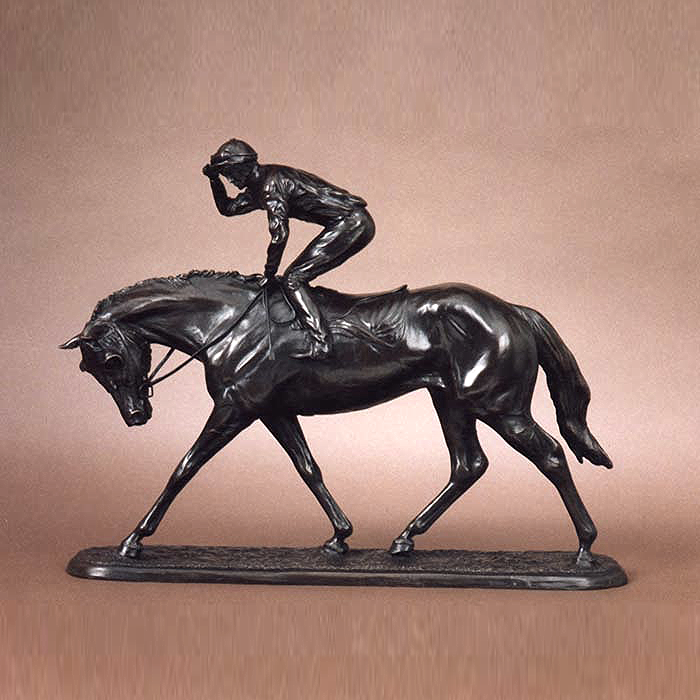 This is one of two bronzes I did of this famous event horse. Sir Wattie was a two time Badminton winner, and team and individual silver medal winner at Seoul Olympics, ridden by Ian Stark. One to the great things about doing what I do is having the chance to meet my heroes. As a pony mad, not very confidant child, it would have seemed an impossible dream to spend a day with someone like Ian. He and Jenny were lovely and it was a pleasure to make the sculptures. The ‘Iberian’ breeds also have a fascination to me. This ‘classic’ horse, so familiar as the mount of choice in the many monuments, around Europe, have an entirely distinctive way of carrying themselves. Their training and agility; the skills needed for bullfighting are amazing to see and the classical Dressage moves, show their amazing ability. This sculpture was literally inspired by a postcard that was sent me, by my niece, who recognised the beauty of the horse portrayed. 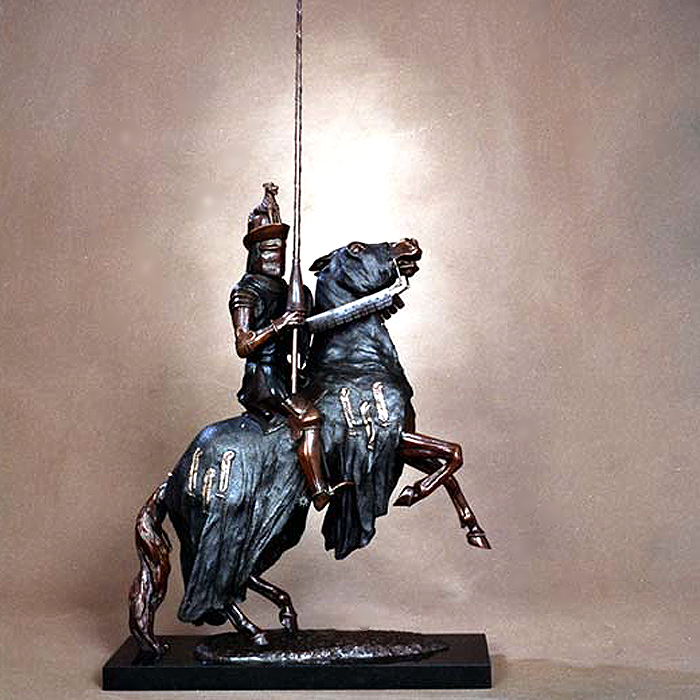 I loved the movement and ‘shape’ of the horse and rider, and it lead me on a path of discovery about these horses. I originally made this in sterling silver, but then cast it also in bronze. A local Arab Stud helped me with type and research on the traditional headstall and saddle. The Arab is a truly beautiful breed, often portrayed, I feel, as over exaggerated caricatures of themselves. I think this does them a dis-service, they are already stunning! Like all people that live in the country, I have a love hate relationship with the fox. I respect their right to eat and feed their young but I have lost umpteen chickens and four pet ducks to them over the years! As an artist you have to have a fairly emotive and appreciative view of animals, and I have had many opportunities to see a different side of foxes. I have met several quite tame, hand reared ones and spent over an hour once, watching three fox cubs playing, completely oblivious of me. Urban foxes are often quite scrawny but I have caught glimpses of some big, sleek, quite heavy set foxes in my garden on Gloucestershire.